Property 9: Beautiful Sea Front North Devon Apartment with 3 large bedrooms. Sleeps 6. Property 36: 3 Bed Ground floor apertment minutes from the Beach! 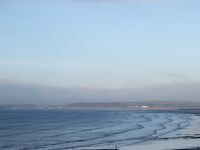 Property 40: 3 bedroom accommodation in Westward Ho!